Paora Maxwell has officially been welcomed into his new role as CEO of Māori Television at Te Puea Marae in Mangere this morning. Māori Television CEO Jim Mather has announced his resignation from the broadcaster to fill the post of CEO at Te Wānanga o Aotearoa. 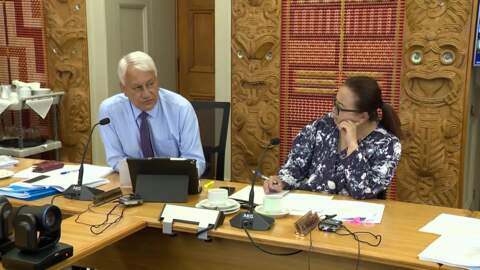 The Māori Television Service Amendment Bill had its first reading in the House today.